Six Russian Tu-22M3 long-range bombers attacked Daesh targets near Palmyra on Monday, the Russian Defense Ministry said in a statement. A command post and a large militant field camp have been destroyed near As Sukhnah, while terrorists near Palmyra and Arak sustained losses in manpower, arms depots, armored and all-terrain vehicles with mounted guns, as well as command posts, the ministry added.It was noted that the bombers returned safely and landed on their airfields following the concentrated attack. Russia has been conducting a counterterrorist campaign in Syria since September 30, 2015, at President Bashar Assad’s request. On March 14, Russian President Vladimir Putin ordered the Defense Ministry to withdraw the bulk of the Russian military contingent from Syria. Six Russian Tu-22M3 long-range strategic bombers strike Daesh targets in Syria’s Palmyra, Arak, As Sukhnah and At Tawbah, the Russian Defense Ministry stated on Thursday. 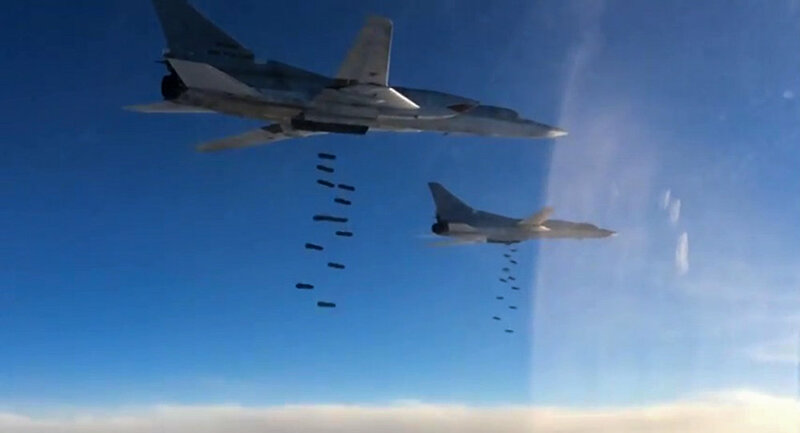 “In July 21, six Tu-22M3 long-range strategic bombers conducted airstrikes on intelligence-verified Daesh targets east of Palmyra, in the cities of Arak, As Sukhnah and At Tawbah. The targeted objects included command posts, troops and terrorists’ equipment,” the statement read. Due to the airstrikes, two terrorists’ command centers, troops and camouflaged military equipment were destroyed. “To improve the efficiency of the disclosure of terrorist group targets and the accuracy of determining their origin, reconnaissance was intensified in the area, including space-based reconnaissance. Due to intensified intelligence, new terrorist targets were detected and destroyed,” the statement read. The US-led international coalition was notified in advance of Russian Tu-22M3 strategic long-range bombers’ attack on Daesh targets, the statement added. “As a result of the airstrikes, a large terrorist encampment, three ammunition depots, three tanks, four armored vehicles, eight cars equipped with heavy machine guns as well as a large number of terrorists were destroyed,” the statement read. Six Russian Tu-22M3 strategic long-range bombers hit Daesh’ high-explosive munitions near Syria’s Palmyra, As Sukhnah, Arak, the Russian Ministry of Defense said. 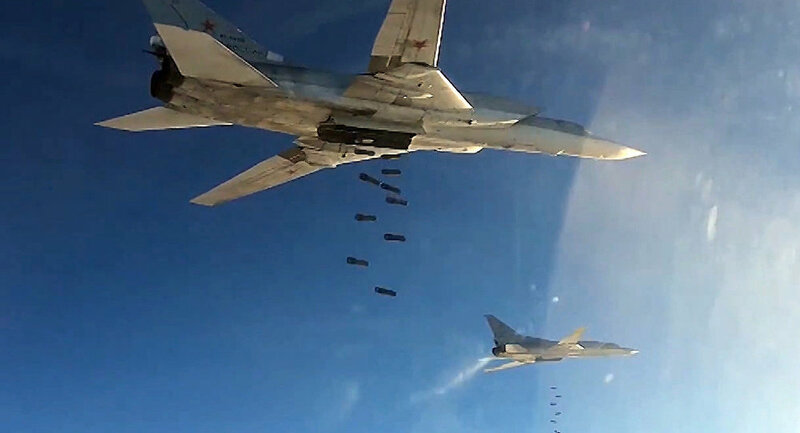 “On the morning of July 12, six Tu-22M3 long-range strategic bombers carried out a concentrated attack using high-explosive ammunition on Daesh targets east of Palmyra, As Sukhnah and Arak,” the statement read.Among the targets identified and confirmed through intelligence channels in recent days, the ministry said a large IS field camp, three arms depots, three tanks and a large number of militants have been destroyed in the attack. All bombers returned safely to airfields after striking Daesh targets in Syria. “All planes returned safely and landed in their airfields. In order to ensure flight safety, representatives of the [US-led] international coalition have been notified of the attacks in advance,” the ministry underscored. Combat aircraft from the Russian air group in Syria carried out some 170 sorties in the last three days hitting over 480 terrorist targets, the Russian General Staff said Monday. “From January 22 to January 24, the aircraft from the air group deployed in Syria caried out 169 combat sorties hitting a total of 484 terrorist targets,” Lt. Gen. Sergey Rudskoy, chief of the Main Operational Directorate of the General Staff of the Russian Armed Forces, told reporters. “In order to provide support to the full-scale offensive of the Syrian Arab Army and patriotic opposition forces, on January 22 the Russian Aerospace Forces began commencing massed airstrikes against terrorist assets in Syria. About 70-100 sorties are being conducted every day,” he said. 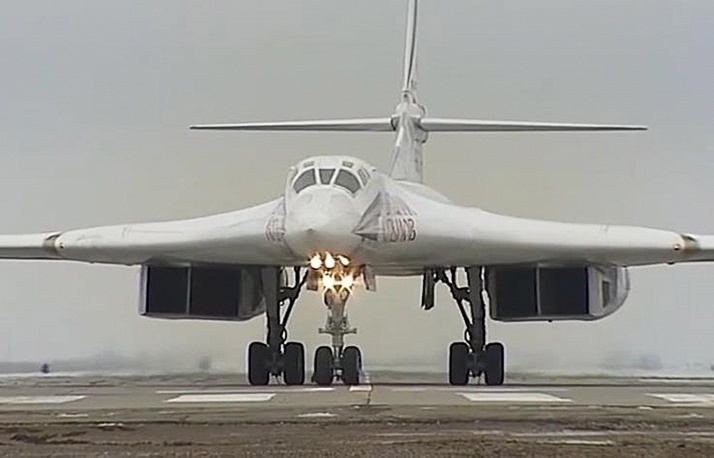 “Russian Tu-22M3 long-range bombers carried out 18 sorties against Daesh forces deployed in the vicinity of Deir ez Zor from January 22 until January 24,” Rudskoy said.